What is Nielsen Segmentation & Market Solutions? Using our comprehensive, yet simple-to-use online platform, Nielsen Segmentation & Market Solutions, consumer insights can be applied to drive bigger outcomes for your business in marketing and real estate. Watch the video and visit us at ICSC Recon Booth #1218 to learn more. Los Angeles real estate development company Primestor Development signed LemonPop a new concept by Charlotte Rouse at azalea Regional Shopping Center in South Gate, California. The 5,900 sf concept store is the first of its kind in the nation. 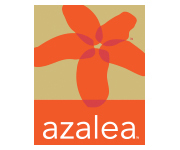 azalea, which opened less than a year ago, will have only 3 spaces available representing approximately 7,000 sf for a vacancy factor of less than 2%. Society as a whole benefits immeasurably from a climate in which all persons, regardless of race or gender, may have the opportunity to earn respect, responsibility, advancement and remuneration based on ability."